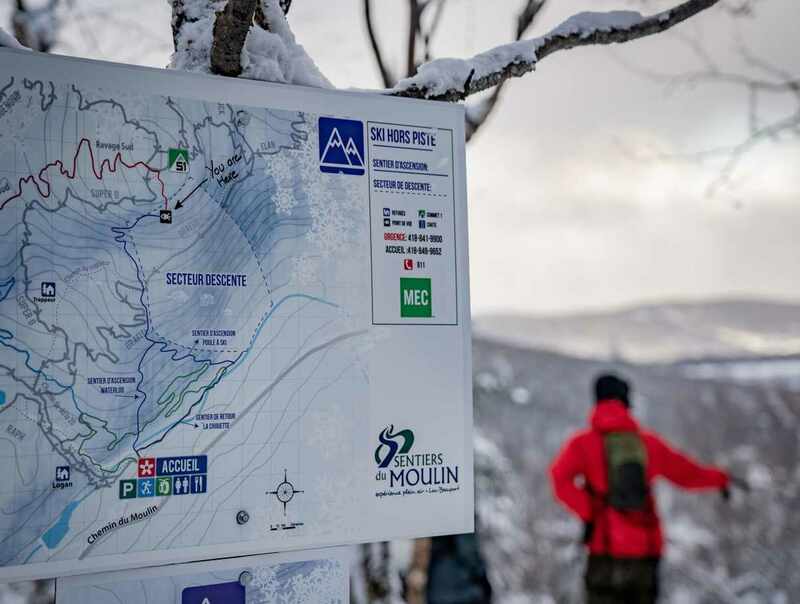 A network of beginner, intermediate and expert ski trails with 6 heated way stations: 38 km (23.6 miles) of diagonal stride skiing, 10 km (6.2 miles) of ski skating and 10 km (6.2 miles) of snowshoeing. Discover magnificent snow-covered scenery in the Lac-Beauport area while following these groomed and marked trails through the Laurentian Forest. Main lodge has a cafeteria, waxing room and rental shop (skis and snowshoes). Hours: Summer, 8:30 a.m. to approximately 8 p.m. December to March, 8:30 a.m. to 4 p.m. Variable hours during Fall and Spring. Open year-round for events. Staff onsite year-round. Admission: $19 per adult, includes bike wash and taxes.